Local Love / music / Words. Last week, we had a great time dancing at the Soft White Sixties show. This week, TUBE. 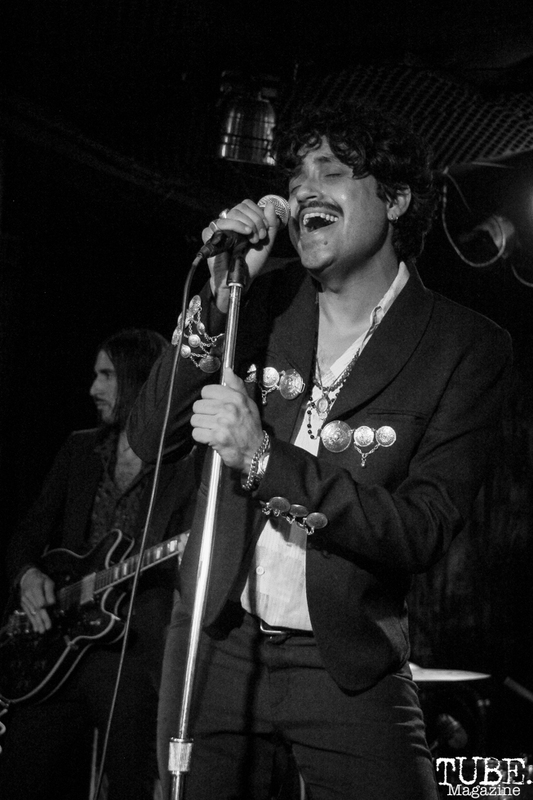 Magazine went backstage and got to chat with rock band’s lead singer Octavio Genera. TUBE: What inspired your latest album, Alta California? What made you decide to do the same album but in Spanish? Genera: The idea came about with the song “Brick by Brick.” The subject matter related to my family coming from Mexico to California, which then brought about the topic of recording a song in Spanish. We did one song in Spanish and it felt great, so we did the entire record. Glad we did. TUBE: How did you guys first meet/decide to form a band? Genera: We all moved to the Bay Area to pursue music on our own…then just by playing in different bands and having lots of mutual friends, we all met. Music was always the goal. TUBE: What fuels your creative drive as a band? Genera: We are always listening to new music whether it’s old or something that just came out, that always provides some inspiration. Most importantly, we just like to play and make music, whenever we jam in our rehearsal space something will appear that starts the entire process over again. TUBE: Everyone has their own thoughts about success. What’s your definition of it–what’s it look like to you? Genera: Being able to live a comfortable life and play music that you love. TUBE: What made you guys pick The Soft White Sixties for your band name? Genera: The light bulb hanging in our rehearsal space. TUBE: What’s your favorite song to play live and is there a reason why? Does it hold a special meaning? Genera: Right now the song “Number One” feels great live. It just feels really effortless. But, favorite songs to play live always change. TUBE: Who writes the music? Is it a combined effort? Genera: We put songs together as a group always. We have ideas for different parts or hooks, but usually, if it works everyone hears it and knows it. The best ideas always come together fast and easy, like a juicy burger…hot and greasy. Learn more about the Soft White Sixties on Facebook, Instagram, and their website. Tags: Alta California, Anouk Nexus, band, bay area, Brick by Brick, interview, Mexico, Music, Number One, Octavio Genera, Spanish, The Soft White Sixties, TUBE. Magazine. Bookmark the permalink.